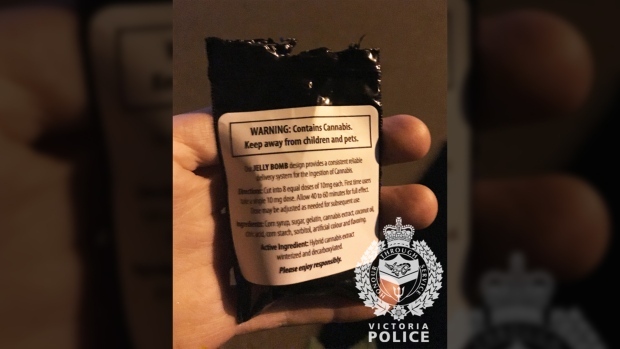 Victoria police are asking parents to check their kids' candy after a child went trick-or-treating and wound up with a package of marijuana gummies. The gummies were handed out at a home in the 100-block of Simcoe Street along with peanuts and a protein bar, according to police. The child's parents found them while looking through the young trick-or-treater's candy. The parents called police immediately and identified the home the gummies were handed out at. 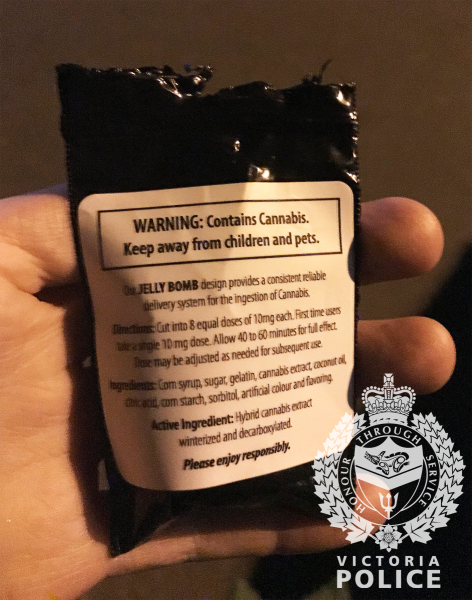 Police seized the gummies, labelled "Twisted Extracts Black Cherry Zzz Bomb." Each dose contains 10 milligrams of cannabis, according to the label. When officers attended the home, they spoke with an occupant who they say didn't appear to be aware that pot-infused candies had been handed out to a child. In a follow-up tweet, police said they didn't believe the gummies were handed out maliciously. Police say they instructed the person to stop giving out candy and to turn out their lights to deter any other trick-or-treaters. They're now urging parents in James Bay, especially those with kids who trick-or-treated in the 100-block of Simcoe Street, to check their children's candy for anything out of the ordinary.